Warning: If you do not wish to know some plot details, do not read the rest of this review. 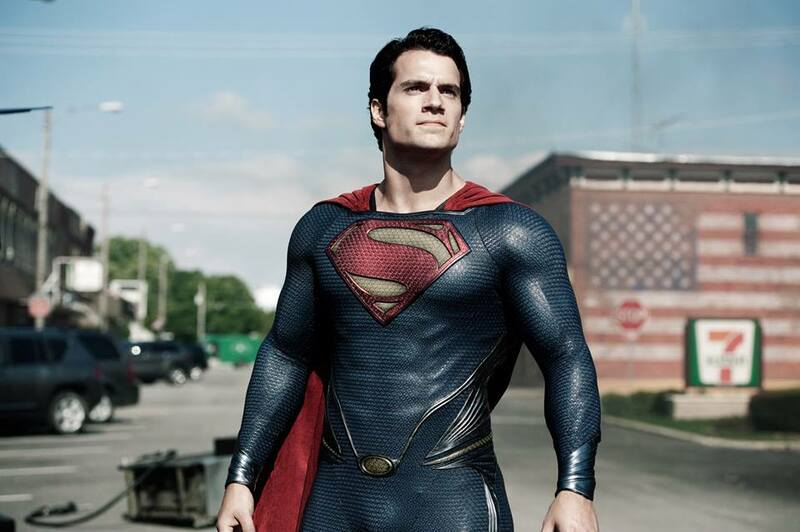 From director Zack Snyder (300, Watchmen, Sucker Punch), producer/writer Christopher Nolan (The Dark Knight trilogy, Inception, The Prestige), and co-writer David S. Goyer (Blade trilogy, The Dark Knight trilogy), comes Man of Steel, the origin story of Clark Kent/Superman (Henry Cavill). Saved from the destruction of his home planet Krypton by his parents Jor-El (Russell Crowe) and Lara Lor-Van (Ayelet Zurer), the infant Kal-El lands on Earth and is discovered by Jonathan Kent (Kevin Costner) and his wife Martha (Diane Lane). As Clark grows up, he is seen as a social outcast amongst his peers. In addition to dealing with his developing superpowers, young Clark (portrayed in his younger years by Dylan Sprayberry and Cooper Timberline) struggles to understand his place in the world with help from his adoptive father. In his adult years, Clark wanders from place to place working odd jobs under false names, journeying to discover where he came from and what he was sent to accomplish on Earth. When he hears of a discovery of an alien craft in the Arctic, Clark goes to investigate. He is not alone in finding the truth, as famous reporter Lois Lane (Amy Adams) is sent to the Arctic to write a story on the discovery. Clark eventually discovers the Kryptonian ship, and upon activation learns from a preserved consciousness of Jor-El about his alien heritage and is given an important relic from his home planet baring the symbol of the House of El on the chest. Meanwhile, an alien craft is discovered floating in Earth’s orbit. The ship transmits a signal from General Zod (Michael Shannon) to all electronic devices on Earth. He is seeking the surrender of Kal-El and in exchange for their fellow Kryponian citizen, they promise peace. But Zod has a more sinister plan up his sleeve. When Clark discovers the threat Zod brings to his adopted planet, he is forced to discover the hero within if he is to save the world from annihilation…and become the symbol of hope for mankind. For many years, fans have used Christopher Reeve’s portrayal of the iconic DC Comics character as a measuring stick for actors who bear the iconic “S” upon their chests. Brandon Routh was the last actor to wear the tights and cape on the big screen and was met with mixed to positive reviews, but he still fell below Reeve. Now, Henry Cavill adds his name to the list of actors to portray the Man of Steel. Ironically enough, Cavill was one of the final choices for the role in Superman Returns but lost to Brandon Routh. Seven years later, Cavill got another shot to play the Man of Steel, and he did not disappoint. Since this is a new version of Superman, Cavill plays a conflicted Clark Kent/Superman. While Clark eventually discovers where he comes from, he does not yet know how to become the iconic hero the audiences know and love. Even though he has his unique superpowers, he has not discovered his full potential, and this is shown as he struggles to gain control his ability to fly. Throughout the film, Cavill’s portrayal of Superman shows a more grounded character, complete with raw emotions and various moments where he is tested to his physical limits. Cavill’s performance was reminiscent of the 1990’s Superman: The Animated Series, where Superman’s powers were more constrained and struggled to perform spectacular feats. While this Superman didn’t have as many lines as Brandon Routh’s character did, actions can speak mightier than words and Cavill nailed it. He truly felt like a comic book character that came to life on the big screen. Henry Cavill has surpassed the bar set by Reeve thirty-five years ago. He is this generation’s new Man of Steel, and is definitely worthy of wearing the “S” on his chest. 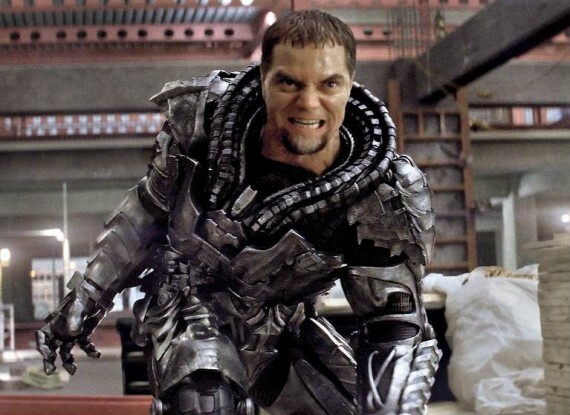 Michael Shannon’s portrayal of General Zod had a lot to look up to. Although the role of Zod was explored on Smallville, Calum Blue never lived up to the reputation Terrance Stamp made as Zod in Superman II. The iconic villain of Superman that’s not named Lex Luthor lived up to his reputation, and Shannon nearly stole the show from Cavill. Shannon’s portrayal of Zod was truly evil and brilliant. While it is clear he’s the villain of the story, he makes Superman conflicted about the survival of the Kryptonian race. Shannon makes Stamp’s portrayal feel tame in comparison. While Terrance Stamp was fantastic, Shannon represents a more modern, darker villainous approach. Many may argue Stamp is still the superior Zod, but Shannon’s portrayal was needed for this new chapter of the Superman film franchise. Russell Crowe and Kevin Costner were perfectly casted for their roles as Jor-El and Jonathan Kent. Crowe takes a different approach from the role ironically portrayed by Marlin Brando, but his take on a much younger Jor-El was a breath of fresh air. Costner shines as Jonathan Kent. He is by far the most memorable actor to play the character on film, and is on par with John Schneider’s portrayal on Smallville. The plot for the film was solid with everything fans want in a Superman movie. There are various flashbacks in the film that show key moments from Clark’s childhood, but they fit well with the film and with character development. While there were parts at the beginning of the film that felt somewhat rushed, overall the film stays on track and delivers an epic story. The comics that inspired the film. 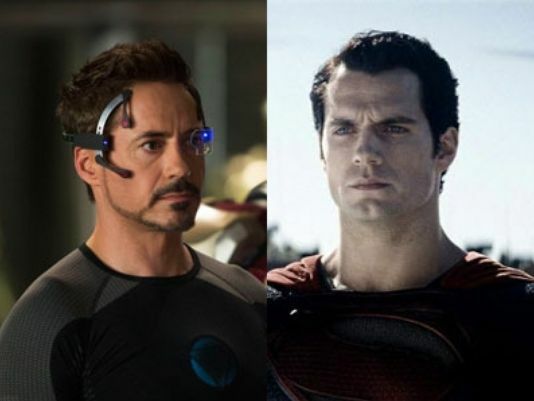 Nolan, Goyer, and Snyder took risks in reinventing the character for a more grounded approach, but in the end they provided a new and fresh comic-inspired approach to the character. 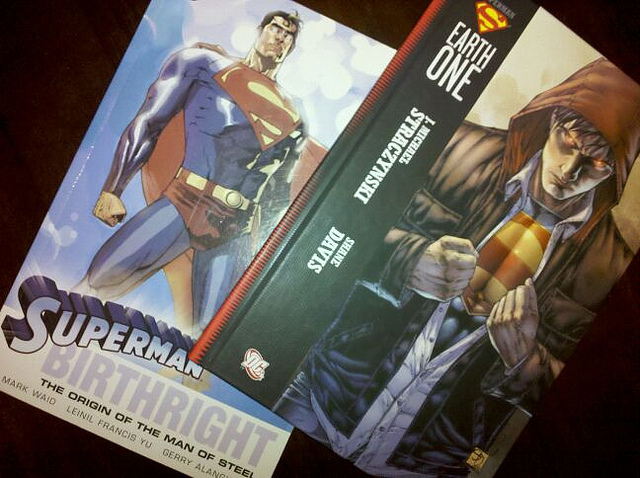 They drew inspiration from graphic novels such as Superman: Birthright and Superman: Earth One and it paid off. While the film lacks the iconic John Williams theme, Hans Zimmer delivers with an epic and memorable score that matches the tone of the film and does enough to stand on its own, leaving viewers satisfied. Zimmer is one of the best composers in film today, and his contribution to Man of Steel is one of his best works. There are some major changes to the Superman legacy involving Lois and Clark and when Superman kills Zod. While many viewers and fans have been reported as being very upset with this move, they’ve jumped to conclusions that Nolan and Goyer made Superman a killer. That is not the case. It is true that Superman is not a killer, but if all possible options are unsuccessful, he will kill to protect mankind (check out “The Death of Superman” comic arc for a prime example). In the case of the film, Zod was enraged over the loss of his Kryptonian allies and had nothing left to live for except for revenge to kill Superman and exterminate the human race. Viewers complained that Superman should have paralyzed Zod or blinded him rather than kill him. But if he did, Zod still poses as a threat; Superman had no other choice and after he kills Zod, he clearly shows remorse for his actions. Keep in mind, this is the origin story of Superman—he has never done anything like this before, and this moment could very well be the defining moment in his life that shapes him to become a better hero and finding other ways to save the world than by killing. The visual effects for the film were rock solid. While there were a few moments where the CGI looks iffy, the visual effects are well polished and incredible to experience on the big screen. Zack Snyder is a genius when it comes to visual effects, and he does not disappoint in Man of Steel. One of the most ignorant remarks about Man of Steel is that it felt like a Michael Bay film. Bay is a director who goes more for the eye candy approach with big explosions, nonsense adrenaline rushes, and “hot” women with hardly any acting talent. Snyder puts effort into his cast, the story, and the visuals he creates to portray an engaging theater going experience. Snyder sticks true to the source material, unlike Bay who throws in his mix of ideas that are not faithful. Bay doesn’t leave anything thought provoking except mind numbing action while Snyder leaves the viewer leaving the theater with imaginative thoughts that make you want to discuss the film with your fellow movie-goers. The only time Michael Bay and Zack Snyder should be mentioned in the same sentence is if the phrase “is not on the same level” is included. Superman is not the same as Iron Man. So why are critics comparing them? Critics have complained about Man of Steel for being too action orientated and citing a lack of character development and hardly any humor. While there is a lot of action in the film, by no means is there a lack of character development, and even if there was, it’s a Superman film-everybody knows who these characters are. As for the humor side, there are subtle moments of humor which is typical of a Nolan written film. If you are looking for Henry Cavill to be like Robert Downey Jr., you won’t find it here. They are completely different characters, and if the critics expect Superman to be snarky and funny as Iron Man, they need to lay off the ganja. The critics are the same individuals who praised Superman Returns for its character development but cited a lack of action. Now that Man of Steel makes up for Returns’ lack of action, the critics sound hypocritical and have about as much credibility as Uwe Boll in making a good movie. There are a few Easter Eggs in the film, including a gas truck with “LexCorp” and a satellite with a “Wayne Enterprises” logo on it, and it matches the logo seen in Nolan’s Dark Knight Trilogy, planting the seeds for a shared DC Cinematic Universe. 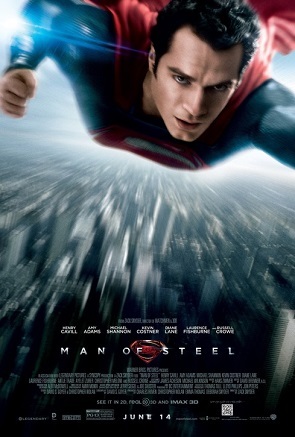 Overall, this is the Superman film that many have waited years for and is one of the best Superman films to date. For the first time, Superman actually is thrown into combat against beings that are equally as powerful as he is and the result is a heart pumping action film that satisfies the most casual comic book movie fan. Man of Steel is a must-see blockbuster to see in the theaters, and is a strong entry for a new franchise and potential launch pad for a DC Cinematic Universe.